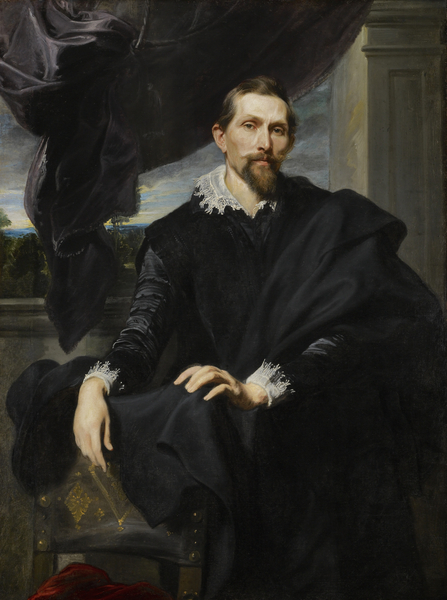 Van Dyck: The Anatomy of Portraiture exhibited at the Frick Collection in New York in 2016, and was the first and largest portrait exhibition in the United States in 20 years. 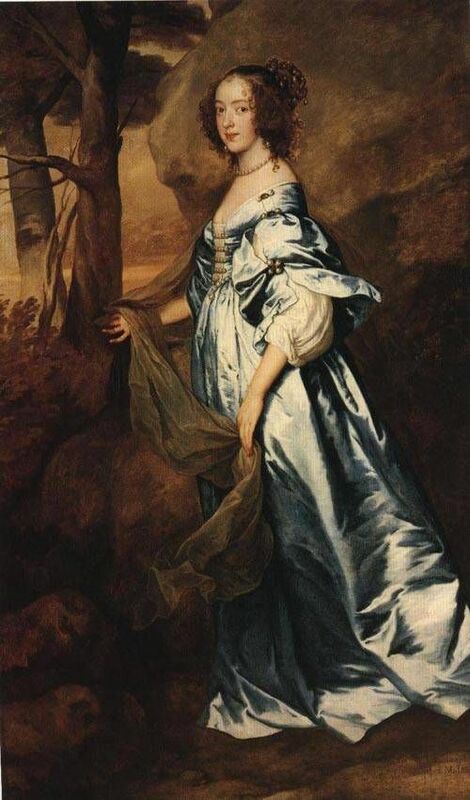 Approximately 100 works of art were put on display, including oil paintings, prints, and sketches, showcasing groundbreaking 17th century artist Anthony Van Dyck’s unique and enduring impact upon the art world. Anthony Van Dyck (1599–1641) was a Flemish Baroque artist who became a major court portrait painter during the reign of King Charles I of England. As such, he was a huge contributor to the revolution of portraiture in Europe. The exhibition at the Frick Collection testified to his sublime artistic achievement. 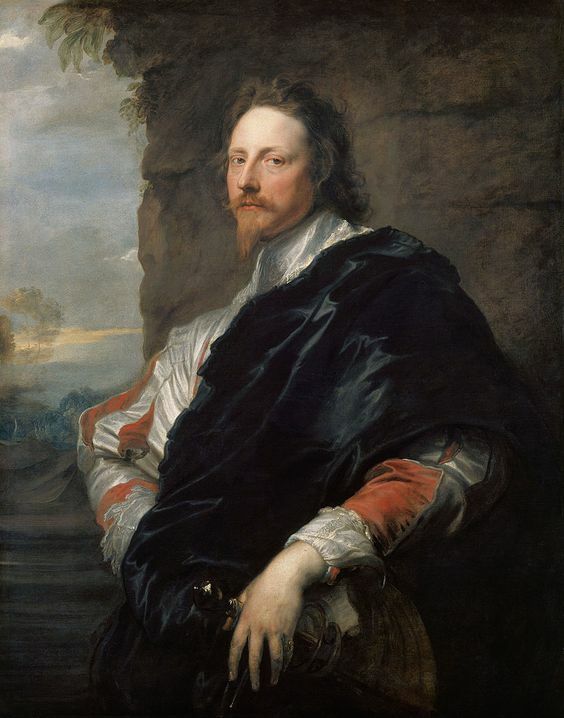 At the tender age of 20, Van Dyck received remarkable praise from his contemporaries: they revered his style and trusted his artistic instinct. In 1620, when Van Dyck finished a portrait of Frans Snyders, another Flemish painter who specialized in painting animals, the essence of Snyders in Van Dyck’s artistic rendering was uncanny. Snyders was a court painter, also, whom the King of Spain valued tremendously. 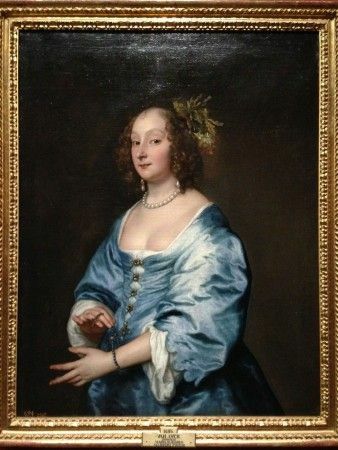 Next to the portrait of Snyders in the Frick Collection exhibition was hung a delicate portrait of Margareta de Vos, Snyders’ wife. Fortunately, both portraits were collected by Henry Clay Frick and were able to be hung together. Snyders in fact commissioned the portrait of his wife from his 20-year-old contemporary, itself a mark of recognition for the young artist’s extraordinary capability. 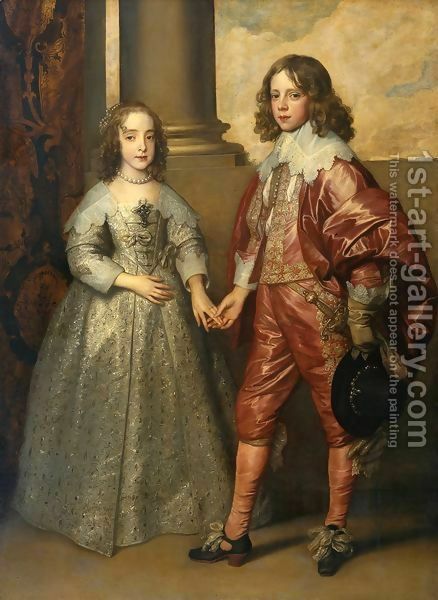 Van Dyck’s depiction of the couple in their individual portraits is quite amazing. From their beautiful, black costumes with exquisite decoration, especially the sparkling embroidery of gold thread on de Vos’ clothes, to their long, elegant, artists’ fingers. What attracts the eye to these paintings in particular is the compelling expression on Snyders’ and de Vos’ faces; something captivating, occupying the space between wistful and interrogatory. Their expressions are dimensional, and dignified, in both cases. 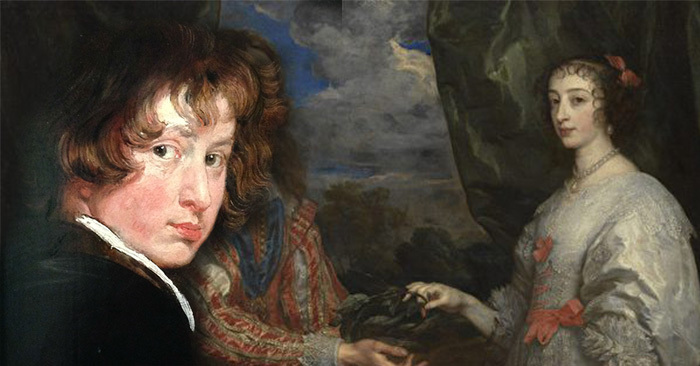 Van Dyck evokes an experience of the sublime with his realistic depiction of both characters. They spring to life from the very tip of Van Dyck’s paintbrush, and enjoy timeless expression on the canvas. There was only one self-portrait at the exhibition. Van Dyck painted himself between the ages of 13 and 15 years old. The painting displayed depicts a lively young man with a self-assured demeanor. Beyond merely an expression of artistic ability, a self-portrait amongst the artistic community was, and is, seen as a statement of intention. 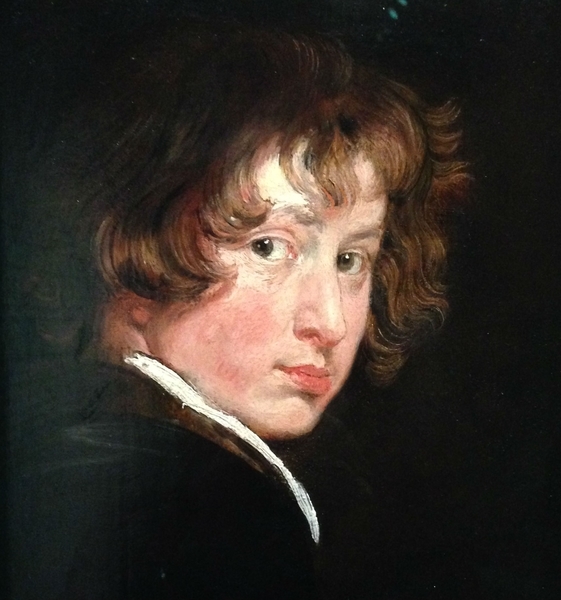 Turning back time to 1609: Van Dyck was a promising young child who became apprentice to the successful painter Hendrick van Balen. Three years later, and after much artistic progress, he found himself in the drawing room of the famous Belgian painter Peter Paul Rubens. Only a few portraits by Van Dyck are preserved to the present day. Stijn Alsteens, curator in charge of portraiture at the Metropolitan Museum of Art, has struggled with this fact. 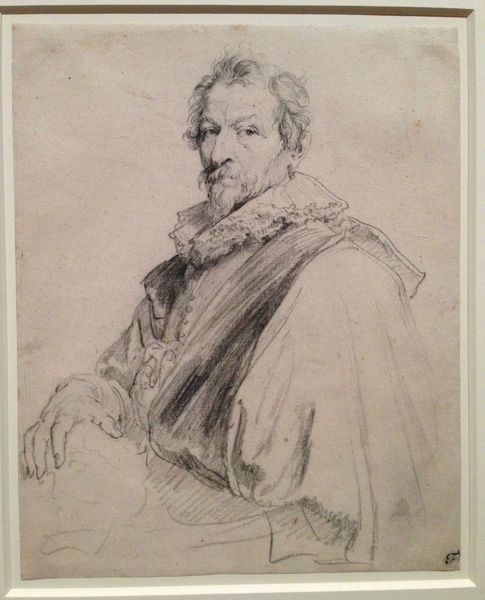 Alsteens explained that Anthony Van Dyck produced approximately 300 sketches and portraits during his lifetime. Sadly, exhibition curators were only able to collect one third of that amount. Van Dyck preferred to draft directly onto manuscript. For large-scale paintings, such as the portrait he produced of the British royal family, Van Dyck first drew a smaller painting, in this case titled The Princesses Elizabeth and Anne, Daughters of Charles I (1637). Van Dyck then proceeded to complete the much larger, more ambitious work. This painting was present at the exhibition. 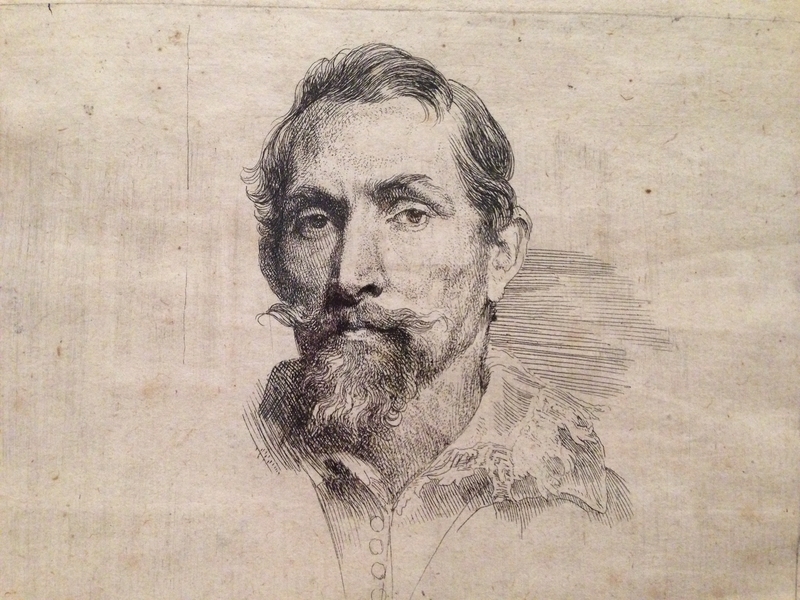 There were around 60 of the artist’s sketches displayed on the second floor of the Henry Clay Frick House, showcasing Van Dyck’s stripped-back, iconic style. These sketches are hugely enjoyable to behold for their idiosyncratic, detailed hand. The collection then expanded further to include portraits of various “celebrities” from Van Dyck’s era, featuring royalty, politicians, generals, artists, and scholars. 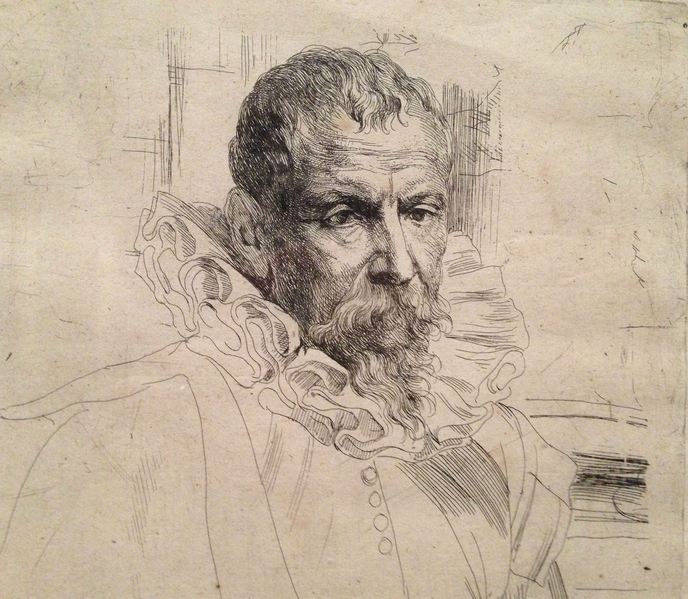 Besides a charcoal sketch and print of Flemish painter Pieter Brueghel the Younger, visitors to the exhibition could also enjoy Van Dyck’s preliminary sketch of his first teacher, Hendrick Van Baren, amongst others. 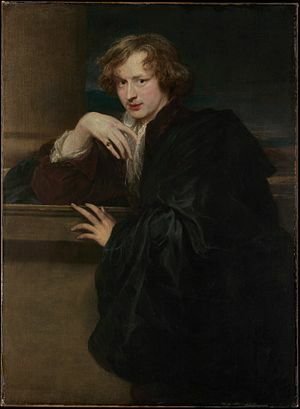 Van Dyck’s depiction of fellow artist Sebastiaan Vrancx is particularly unique with its simple, sweeping curves that astutely reflect the nature of the artist’s subject. Van Dyck would often draw detailed black charcoal sketches before putting paint to canvas: he may then turn the sketch into a dark grey and white oil painting on a wooden board, and often used that as a further reference for sculpture. There were four such monochrome oil paintings on display at the exhibition, along with the original charcoal sketches that preceded them. 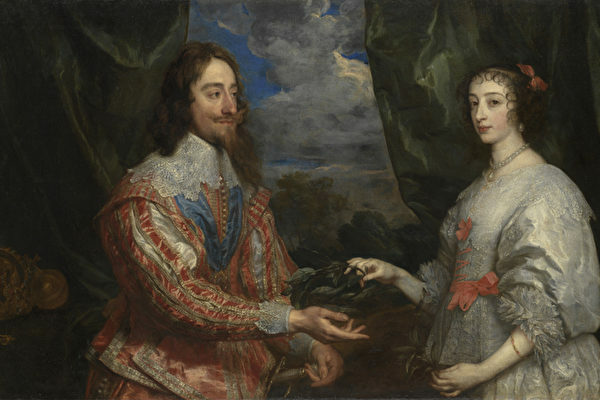 As his successes mounted, Van Dyck traveled to Italy and France from his home town in Flanders, and eventually came to King Charles I’s palace in England. His sterling reputation preceded him. Van Dyck drew something in the region of 40 portraits for King Charles I, and about 30 portraits for Queen Maria Henrietta. Upon Van Dyck’s second visit to England, he enjoyed the king’s enthusiastic hospitality and was even ceremoniously knighted. Van Dyck enjoyed huge success in England. The artist passed away in London in 1641, due, it is thought, to excessive fatigue. Van Dyck’s evocative work continues to be celebrated centuries after his death. His paintings, in particular, prompt a question: What should one’s legacy entail? Van Dyck’s somewhat restrained yet honest portraits seem to encourage reverence. At the same time, his body of work is warm and relatable. For an artist to remain as relevant to future generations as they did during their lifetime is an extraordinary achievement. 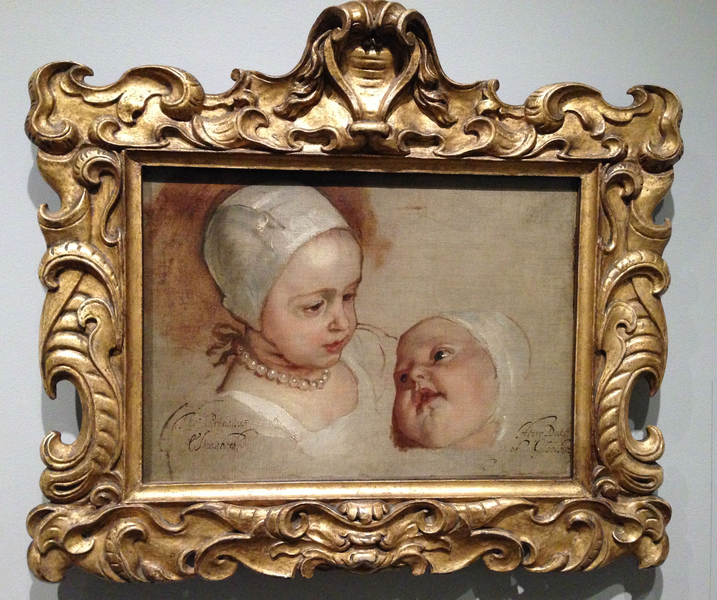 Van Dyck certainly accomplished this. So to remain honest, to achieve greatness through exercising one’s strengths to their fullest: perhaps that is the legacy to strive for.